290 pages | 50 B/W Illus. 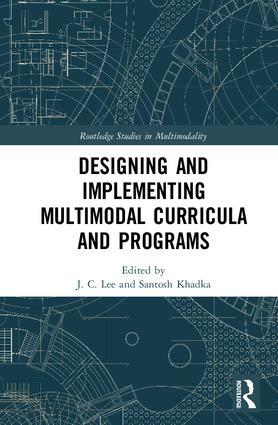 This volume presents a comprehensive overview of multimodal approaches to curriculum and programmatic implementation across a diverse range of teaching environments and across geographic and cultural boundaries. Featuring contributions from scholars within and across both disciplines, the book examines the ways in which new technologies link to expanding definitions of literacy and, building on this, how multimodal approaches might most effectively address the unique opportunities and challenges instructors face in contemporary classrooms and professional development programs. Chapters draw on case studies from both existing scholarship and findings from the authors’ own experiences in practice, including examples from writing, rhetoric, and composition courses, open online learning courses, and interdisciplinary faculty training programs. The final section of the book showcases how the conversation might be further extended to address increasingly multilingual classrooms by exploring how multimodality has been implemented in transnational settings. Engaging with key questions at the intersection of programmatic and curricular development and multimodal studies, this book is a fundamental resource for graduate students and scholars in multimodality, rhetoric studies, language education, applied linguistics, and communication studies. J. C. Lee is Assistant Professor of English and Stretch Composition Coordinator at California State University, Northridge. Lee has presented at numerous conferences, including the Conference on College Composition and Communication (CCCC), the Northeast Writing Center’s Association (NEWCA), the Modern Language Association (MLA), and the Rhetoric Society of America’s (RSA) Summer Institute. Her work has appeared in such publications as the Journal of Popular Culture, Academic Exchange Quarterly, and Comparative Literature and Culture. Her research interests include multimodality and public writing, as well as rhetorics of contingency, professional development, and labor in academic environments. Santosh Khadka is an Assistant Professor of English at California State University Northridge. He teaches graduate and undergraduate courses in writing, rhetoric, digital media, and professional communication. He is co-editing three books at this point, and has published several articles in the academic journals in the United States and abroad.